Thinking about a Yosemite National Park camping trip? If you are, get your facts about Yosemite here first and plan accordingly. Perhaps the greatest charm that Yosemite has is the uniqueness of its geologic features. In fact, there is no other place on earth where you can see such features. There are so many gigantic granite rock formations carved into dramatic shapes by glaciation. Right in the middle of it all is a beautiful valley where numerous waterfalls flow into two rivers. Yosemite National Park is close to the city of Mariposa, California. Close to 4 million people come to see the national park every year. Yosemite covers 1,200 square miles of the Sierra Nevada Mountains. Yosemite Valley is where you can find the world’s largest exposed granite monolith: El Capitan. The name Yosemite (yohhe’meti, “they are killers”) is said to have been used by the Miwok, a Native American tribe, to call the Ahwahneechee, the local tribe which the former considered violent. Five hundred Sequoia trees considered the world’s largest living things, are in Yosemite. The mountains in the Yosemite park continue to grow at a rate of 1 foot per millennium. Because of the great number of rock formations, Yosemite is a rock climber’s paradise. Wildlife in the Yosemite park includes black bears, bighorn sheep, peregrine falcons, coyotes, mountain lions, and golden eagles. In addition to the popular Giant Sequoias, the California Black Oak, Dog Wood, and Mariposa Lily are part of Yosemite’s fauna. It is always a good idea to go Yosemite camping, but there are several things you need to be ready for as you plan the activity. Yosemite occupies a large area with many different terrain and elevations as well as plenty of wildlife. They are all protected, too. Read and learn as much as you can about the rules and regulations in Yosemite. It’s always best to prepare and here are some things you need to know. The weather in Yosemite can vary greatly because of its sheer size and the many elevations. As a result, the conditions in Yosemite Valley can be different from those in the Half Dome. It is important to note that the elevation can be as low as 2,000 feet and as high as 13,000. If you are going on a Yosemite National Park camping trip, you’ll want to know what the conditions are. So check out the weather forecast on the campground of your choice. You can make and receive calls as well as connect to mobile data (3G and 4G) in some sections of Yosemite Valley. The same is true with Tuolumne Meadows although the data connection is slower (EDGE). Voice calls can also be made at El Portal, Tuolumne and Wawona Meadows, but data service may not be that fast. Yosemite National Park camping will surely be a fun activity because you are spoilt for choice when it comes to campgrounds with 13 to choose from. Some of them are reservable, while others have a first-come, first serve policy. Peak season starts April until October so make reservations as early as you can. Even first-come, first-serve camping areas are filled early every day during that period. 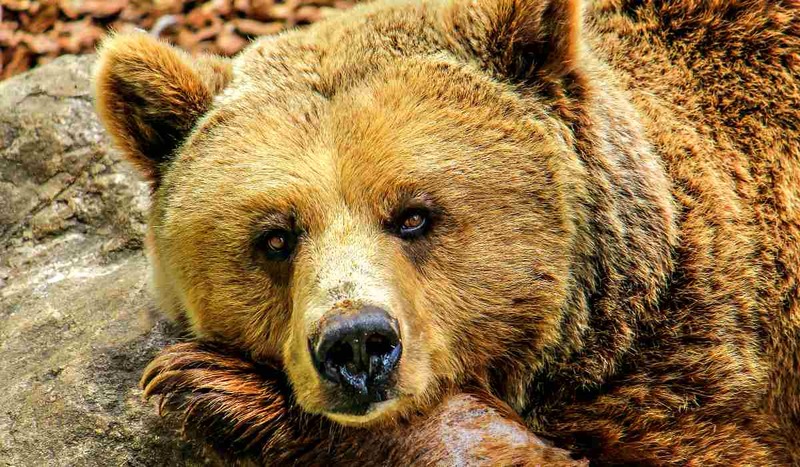 With around 400 bears in the Yosemite park, visitors are not allowed to feed these wild animals. Recently, it had become evident that the bears have become conditioned to eating camp food. This behavior has proven to be more dangerous to both man and beast. The bears become more aggressive to the point where they get put down to protect humans. Due to the increasing and alarming frequency of incidents, Yosemite Park has become very strict with food storage. Anyone caught violating the federal law on storing food properly will have their food or car impounded. Camping permits are also revoked or worse pay a fine as much as $5,000. You can bring your pets along in Yosemite, but only in the developed areas, bike paths, sidewalks, paved roads, and all campgrounds. Also, with the exception of group campsites and Camp 4. Your pet must be on a leash and has to be attended to. Click here to know more. Now that you’ve prepared and packed for your trip, it’s time to explore some of Yosemite Park’s beautiful sights. Here are some of our favorites, along with highly recommended activities. Crane Flat is a pleasant forest and meadow area located 16 miles (30 minutes) from Yosemite Valley. Nearby are the Tuolumne and Merced Groves of Giant Sequoias, which are only accessible by foot. Yosemite Valley is at the center of most visitor activity in Yosemite National Park. The Merced River flows across the Valley’s flat floor at an elevation (altitude) of 4,000 feet (1220m) above sea level. Camping is a fantastic way to put your outdoor survival skills to the test and the Yosemite is the perfect place to do it. This Yosemite National Park camping guide should help with what you need to know to make your camping experience a success! Did we miss anything in our Yosemite National Park camping guide? Let us know in the comments section! Editor’s Note: This post was originally published on November 6, 2015, and has been updated for quality and relevancy.